Have you received notice of an exam scheduled by your employer or their workers’ compensation insurance company? If so, you will need to attend this exam. You might not want to go for any number of reasons. 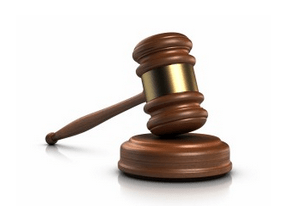 However, the law requires that you attend or you will jeopardize receiving your benefits. If for some reason you cannot make the appointment, it is critical to reschedule it. Not showing up for a scheduled exam will hurt any work injury claim. A workers’ compensation lawyer at the Law Office of Manning & Zimmerman PLLC can help reschedule an exam. The doctor will write a report. They will send it to the employer, the insurance company, and your lawyer. It is important to cooperate and provide detailed and accurate information. Seeing a new medical provider can often cause some concern. This is especially true since the exam is with someone who is not your own doctor. But there are things you can and should do to make the exam as useful as possible. First and foremost is to give the examiner a solid and honest understanding of your medical problem. Be honest with the doctor and do not try to hide information that you think might hurt your case. This includes prior accidents or illnesses. Make sure to let the examiner know how your medical problem affects you. Do not exaggerate. Be prepared to provide full information on how your injury impacts your life. Most of the medical providers who perform these exams conduct a great number of them. The doctor may appear friendly. However, always keep in mind that they are paid by the employer or insurance company. They are not trying to help you! In such a situation, it is easy to forget important details of the significant impact of your medical problems. Preparing a list of how you are impacted helps you to remember important details. 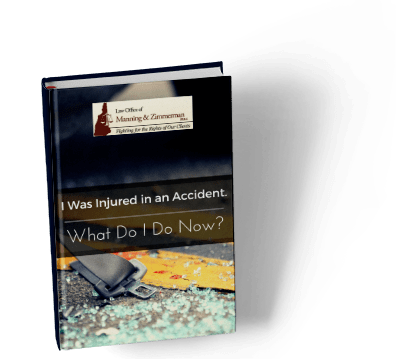 This will help you to provide accurate and important information about the impact of your injury or disease. It’s OK to bring your list into the appointment and refer to it. It is well known that various medical problems impact people differently. This is why it is so important to detail how the symptoms of your medical problem affect you. Tell the doctor how the medical problem impacts your daily life. This includes if you are unable to work, and why the injury would not allow you to perform your prior, or any, work duties. The doctor will evaluate your description of symptoms, signs they can observe, and possibly the results of tests. The symptoms are your description of how the medical problem impacts you. They are not given as much consideration in evaluating your medical problem as they are based on your description. Signs are things that a doctor can observe. They are given more weight in determining a disability. Remember, the doctors are not trying to help you! They are looking to see if the description of your problems match with records they have reviewed and their observations. The doctor will be evaluating you the entire time. They will look to see if you exaggerate your symptoms. They will observe how you walk, stand, and sit. And they might observe how you climb onto an exam table. Don’t overstate your symptoms at this exam, but be sure to not hide them. If something is hard to do or you’re in pain or discomfort, let the doctor know. It is permissible to bring a family member, friend, or someone from your lawyer’s office to the appointment. It is, in fact, advisable to do so. Having someone with you can help you focus on providing accurate and detailed information to the doctor. They will also be a witness to how thoroughly you were evaluated. There are many times that doctors performing these evaluations are thorough and provide accurate and helpful information for your case. There are other times, however, that they do not fully evaluate you or get full information about your symptoms. It is helpful to have your witness keep track of how much time the doctor spends with you. Having a witness can help your claim if the report from the evaluation is not helpful. During the evaluation, the doctor may suggest testing. You have a right to refuse testing. There are, however, times when tests can help your case. If you have concerns, let the doctor know you want to think about undergoing the test. It is best to talk to your workers’ compensation lawyer about the potential need for, and impact of, such testing. After the evaluation is completed, you and any witness to the evaluation should make some notes. It is useful to document how much time was spent with the doctor during the evaluation. Jotting down some notes right after the exam can help you remember what was done and said. Your workers’ compensation lawyer will want to know how you think the exam went. It is good to check in with their office shortly after the exam is completed. 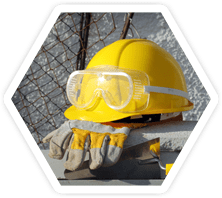 For more information, including two very in-depth videos about workers’ compensation law, click here. Should you have any questions or concerns, be sure to speak with a workers’ compensation lawyer, preferably before the exam. You may need a workers’ compensation lawyer experienced in workers’ compensation law to represent you. There are numerous deadlines and countless rules and regulations that must be met. They require you, your employer, your doctor, and the workers’ compensation insurance carrier to take certain action. The insurance carriers have access to experienced and knowledgeable lawyers to work for them. You should consider doing the same. At the Law Office of Manning & Zimmerman PLLC, your initial consultation with a workers’ compensation lawyer is always free. 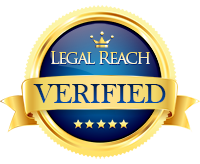 The firm’s legal, medical, and extensive trial experience is utilized to obtain full and fair compensation. This includes compensation for pain and suffering, lost wages, medical bills and permanent injury. We may be reached at (603) 624-7200 or by email at info@MZLawNH.com. We may also be reached by using the “contact us” or chat feature on our website. The NH workers compensation lawyer at Manning & Zimmerman Law invite you to subscribe to our newsletter. We are also on Facebook and you can follow us on Twitter. When your Manchester personal injury lawyer understands the types of tests that are being used and how to interpret the results, they will be better prepared to protect your rights. Understanding the tests will also allow the attorney to confirm that the test was conducted properly and that the results were interpreted according to the right standards. Every Manchester personal injury lawyer should own a copy of the American Psychiatric Association Diagnostic and Statistical Manual (DSM-IV) so that they can verify any diagnosis that is given by the defense doctor against those in the manual. Verifying the diagnosis is very important to any case. Your attorney will ask the Court to make the defense provide the raw data of the test. This will include the test that was given, the handwritten answers you provided, the evaluation by the doctor, and any computer generated information regarding the test and the results. Your attorney will most likely hire an expert to evaluate the results of the test and review the opinions given by the defense doctor. This expert will also provide valuable information about the test and the results, and may even provide additional information about what the test did not show. Your Manchester personal injury lawyer will work aggressively to protect your rights as a victim. If you have been injured in any type of accident, you should contact the Law Office of Manning and Zimmerman PLLC. As a victim, you need to make sure that your rights are protected. 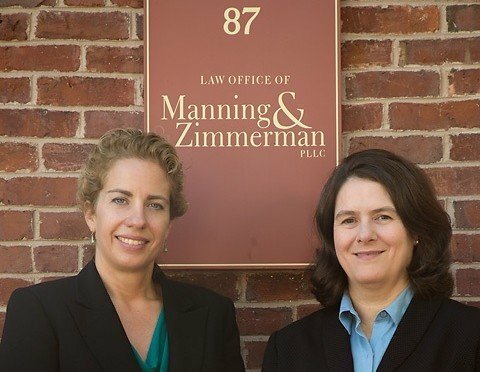 The attorneys at Manning and Zimmerman will review your case for free; all you need to do is set an appointment by calling (603) 624-7200. Personal injuries can cause a lot of hardships for the victim. It is important to protect your rights as a victim and contact a Manchester personal injury lawyer today. The proliferation of forced arbitration clauses in contracts and terms of agreement for credit cards, automobile purchases, cell phones, retirement accounts, employment, nursing home admissions, and goods and services has stripped away some of the most basic rights guaranteed to all Americans in the United States Constitution. Unfortunately, as a Manchester personal injury attorney at the Law Office of Manning & Zimmerman can attest, forced arbitration language is often buried in the fine print of contracts, and should not be forced upon people as a condition of taking a job, receiving medical care, or getting basic consumer services. For more information, read these very informative articles from the Fair Arbitration Coalition, the American Association for Justice, and Public Citizen. Thousands of businesses, from credit card companies, banks, and investment firms, to cell phone providers, schools, and nursing homes, are inserting legalese into employment contracts and service agreements called “forced,” “binding” or “mandatory” arbitration. As When something goes wrong – and in some cases terribly wrong – big companies and corporations force the public into arbitration. Companies often use forced arbitration to avoid accountability for their wrongdoing. In the event of a dispute, forced arbitration prevents a consumer or an employee from taking their case to court. Instead, they force the case into a private arbitration forum. They are designed by the very corporation the dispute is against. When people are harmed by discrimination, negligence, defective products, scams, or worse, they have a right to equal justice. If you should have any questions or concerns about how forced arbitration has affected or could affect you, please feel free to contact a Manchester personal injury attorney at the Law Office of Manning & Zimmerman PLLC at (603) 210-4464, by email at info@MZLawNH.com, or by using the “contact us” or chat feature on our website. Your Manchester personal injury attorney will first want to look at any denial letters that you have received. He or she will look to the reasons why the insurance company claims that it has denied your case. In some situations, your Manchester personal injury attorney may see that there is no reference to relevant insurance provisions. In other situations, the Manchester personal injury law firm that represents you may find that the letter may cite language that does not even exist. Additionally, the insurance company may fail to cite facts that are relevant to the claim, indicating that the insurance company may not have actually investigated the claim. The insurance company may refer to exclusions in the policy that do not pertain to your case. Similarly, it may cite facts that are not accurate. Your lawyer may also inform you that certain legal arguments may be a red flag that the insurance company is playing games. For example, it may state that it is reserving its right to assert additional defenses in the future. Similarly, it may state that it is retroactively rescinding your coverage due to material misrepresentations on your part. If you would like to know more about this subject, contact the Law Office of Manning & Zimmerman PLLC at (603) 624-7200. If you have been involved in a slip and fall accident and have been injured, contact your Manchester slip and fall lawyer as soon as possible to file a personal injury claim. Once you meet with your Manchester slip and fall lawyer, they will go over a series of fifteen liabilities that could change the outcome of your case. What was the weather and the lighting like when you fell? Either variable could have had a part in your slip and fall. What was the surface type that you fell on? Your slip and fall lawyer will want to know the details about the surface. They will want to know if the surface had a defect, and if there was a slippery substance on the surface. Were there warnings posted in the area that you had your slip and fall? Were the signs clearly posted? Do the conditions of the property where you fell violate any ordinances or statutes for the area? Have you noticed that signs have been posted in the area after your slip and fall occurred? Have you noticed any repairs to defects in the surface area? Are you aware of any previous complaints of injuries on the property where you were injured? Do you know if the property is occupied by the owner or a tenant? Are you aware of which party is responsible for maintaining the grounds? Was there anyone who witnessed your slip and fall? If so, would they be willing to testify to what they saw? Was an official investigation performed after the incident? What was the outcome? Has anyone admitted fault for the slip and fall? Were you drinking or on any medications or drugs prior to the incident? Were you wearing any clothing or shoes that could have contributed to your fall? Were you distracted and fell due to lack of attention? Why were you on the property where you fell? Do you have a previous physical condition that could have contributed to your fall? If you have been injured in a slip and fall accident, contact your Manchester slip and fall lawyer today. The Law Office of Manning & Zimmerman PLLC is the Manchester slip and fall lawyer that can help you get the settlement that you deserve. Call (603) 624-7200. 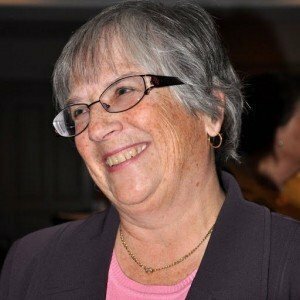 Attorney Ellen Musinsky, Professor Emerita at the University Of New Hampshire School of Law, has joined the Manchester Law Office of Manning and Zimmerman as of-counsel attorney. Attorney Musinsky comes to the firm after a lengthy career on the clinical faculty at the law school, training students in diverse civil practice areas, with a focus on Family, Juvenile, Social Security and Non-Profit organizations. More recently, Attorney Musinsky developed and ran an externship program where students worked outside of the school for credit, while receiving instruction on professional development. Attorney Musinsky will work in all of the firm’s practice areas, but will focus on Divorce/Family Law and Social Security Disability. Attorney Musinsky has 25 years of experience litigating in New Hampshire courts and both state and federal administrative agencies. She has been actively involved with numerous community organizations, has assisted with the development of many laws, and has been the recipient of several awards. She has also delivered numerous lectures focused on family law and Social Security law. The Law Office of Manning & Zimmerman, located at 87 Middle Street in Manchester, New Hampshire, handles cases involving personal injuries, workers’ compensation, medical negligence, family law/divorce matters, and Social Security disability. Attorneys Manning and Zimmerman are joined in the practice of law by associate Attorney Dan McKenna and of-counsel Attorney Robert Raiche. Johns Hopkins, one of the world’s most prestigious medical institutions, will pay $190 million to settle sexual assault claims by thousands of women against a gynecologist who secretly photographed and video recorded patients. The class-action lawsuit involved more than 8,000 former patients of Dr. Nikita Levy, and the deal marks one of the largest involving sexual misconduct by a doctor. Most of the discovered videos and photographs—about 1,200 videos and 140 photos—did not include the women’s faces and were taken with a pen-like camera he wore around his neck. Sexual assault has a devastating impact on victims, and it can also severely affect their families. The victim often suffers significant and lasting pain and even guilt. In many cases, it is difficult for the victim to return to a job or enjoy everyday activities. Sexual assault victims may be able to collect civil damages. For compassionate and discreet help with your case, contact the Law Office of Manning & Zimmerman PLLC today at (603) 624-7200 or toll-free (800) 984-3151.